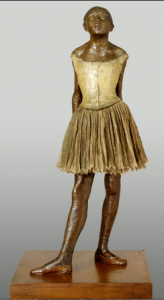 OK…you are an art conservator… What do you do with Degas’ Little Fourteen-Year-Old Dancer? 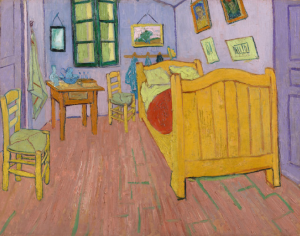 For more on this work, visit the Met’s site. This entry was posted in 19th-c. art, ARTH 114, ARTH 115, Conservation, Museum Studies, Museums, Textiles on April 8, 2018 by admin. when Monet painted this work? Find out about “forensic astronomy” and how it relates to art in this article about some very interesting new research at Texas State University. 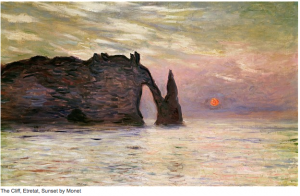 This entry was posted in 19th-c. art, Technology on March 31, 2014 by admin. 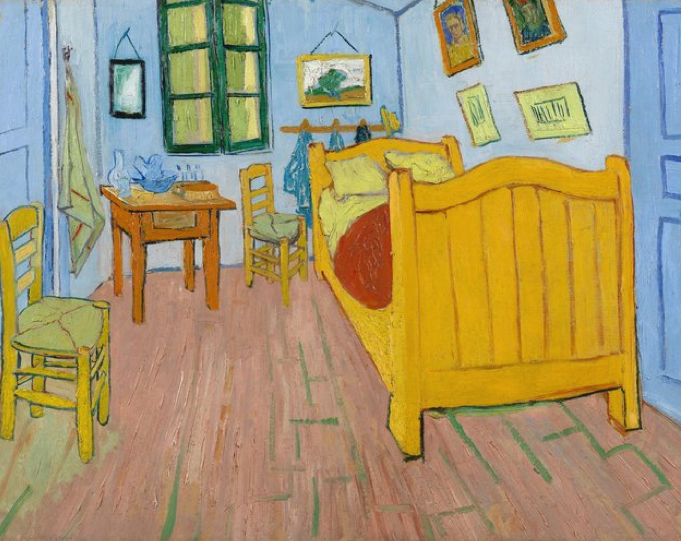 At the top is Van Gogh’s painting, The Bedroom, from 1888 as we know it today and as it exists today. But the blue of the walls has faded over the years, and the red he mixed with blue has gone. The image below (with the lavender walls) shows Van Gogh’s painting digitally enhanced according to what conservators and art historians have learned about his painting techniques. Read more about this project here. This entry was posted in 19th-c. art, Conservation, Exhibits, Techniques, Technology on April 30, 2013 by admin. 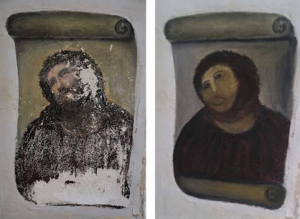 Here is an article and short video on the Ecce Homo (Behold the Man) by Elías García Martínez (19th c.) in Borja, Spain that a faithful parishioner attempted to correct. Should conservators try to fix this, or leave it alone? 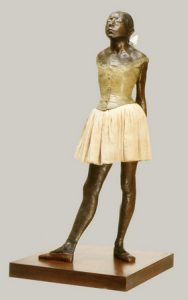 This entry was posted in 19th-c. art, Conservation on August 29, 2012 by admin. An exhibit at the New York Botanical Garden in the Bronx recreates Monet’s gardens at Giverny. Read more. Doesn’t his palette look like a garden? 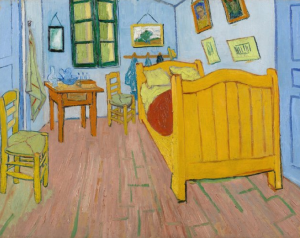 This entry was posted in 19th-c. art, Exhibits, Museums on May 18, 2012 by admin. Thomas Eakins’ portrait of Dr. Samuel Gross was recently restored by the Philadelphia Museum of Art. Read more in the NYT article. This entry was posted in 19th-c. art, Academic institutions, American art, Conservation, Museums on July 21, 2010 by admin. An interesting series of photographs and an interactive map of Prouts Neck, Maine, home to Winslow Homer for the last 25 years of his life, and the paintings Homer made of the sites. From the New York Times, September 6, 2009. 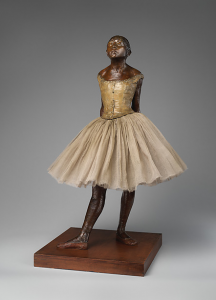 This entry was posted in 19th-c. art, American art on September 5, 2009 by admin. An interesting story from NPR on absinthe. This entry was posted in 19th-c. art on December 4, 2007 by admin. The story from the Portland Art Museum.